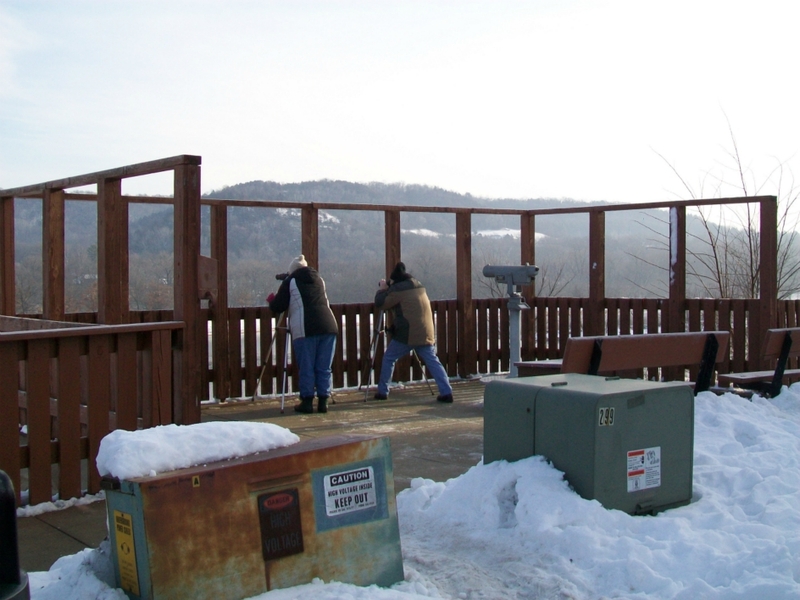 We went to Prairie Du Sac to do some Bald Eagle watching. We were excited! 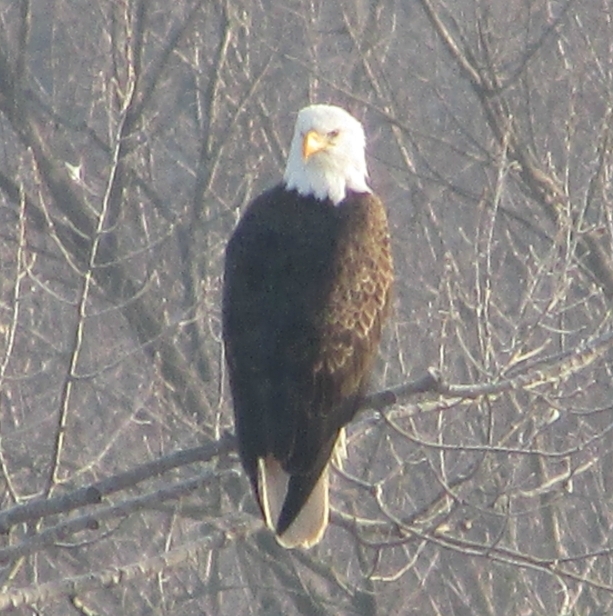 Every January they have Bald Eagle Watching Days but we couldn’t make it this year so we went on our own. 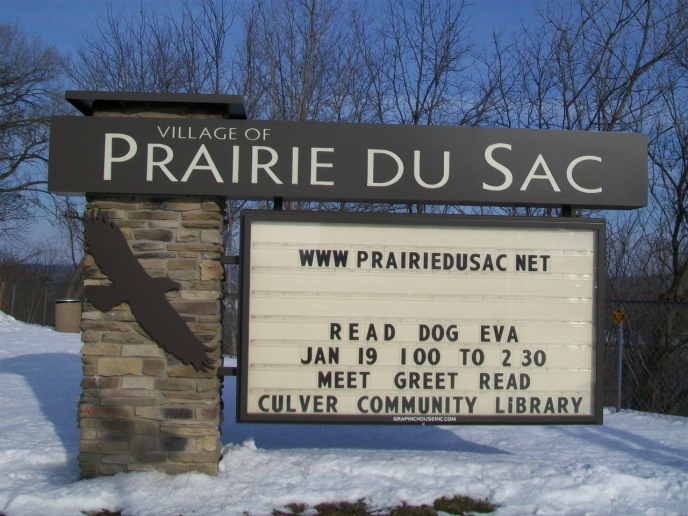 The city loves all the visitors that comes to this event. A gas station had this sign up. I got a new camera in November, the Canon PowerShot SX500IS and looked forward to getting some great pictures. 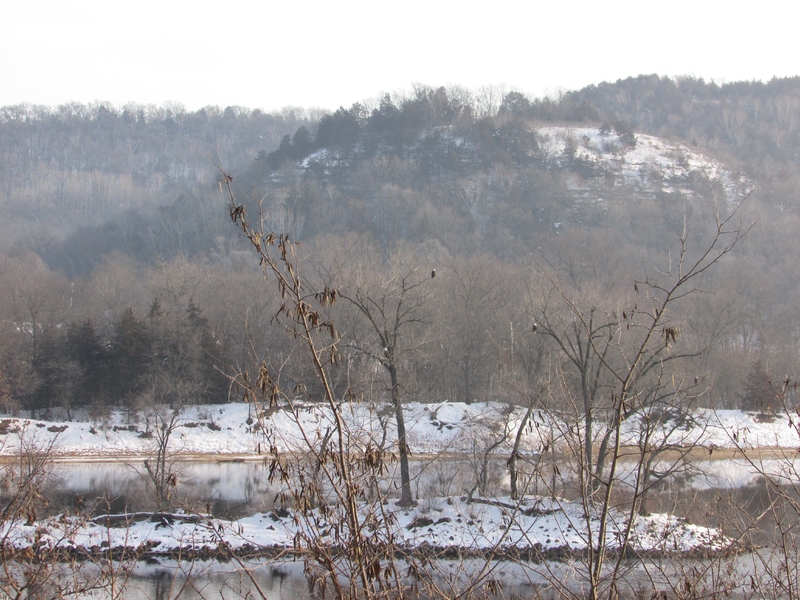 We found a good lookout point and aimed the camera toward’s Eagle Island in the Wisconsin River. We were not disappointed! 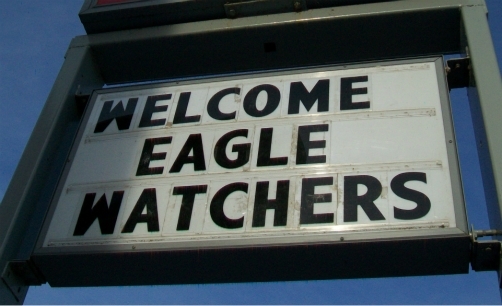 The eagles were there, small and so far away. Then, I went to maximum zoom, 120x. WOW!! 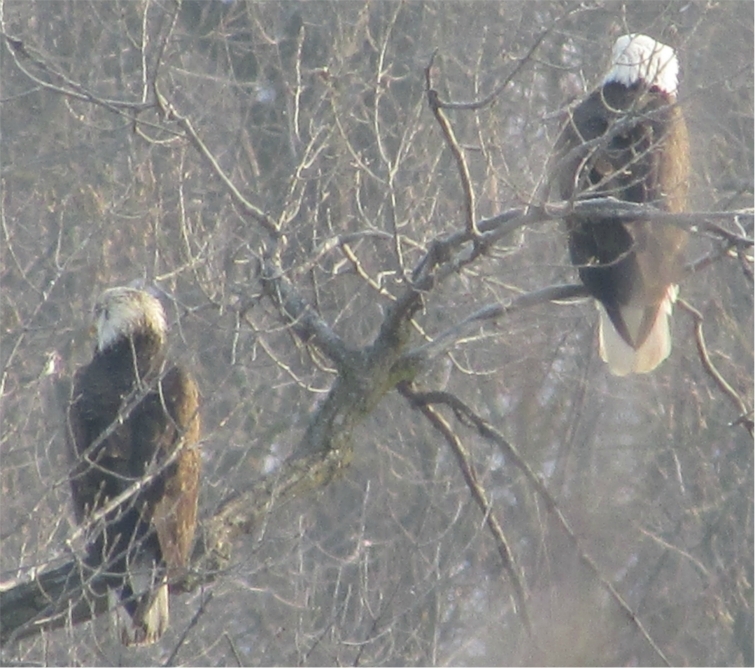 Two eagles together, the left one is a juvenile. It was a great day and we saw many eagles. It was very cold that day and they congregate in trees to save energy and keep warm. Love the Eagle photos Laurie.